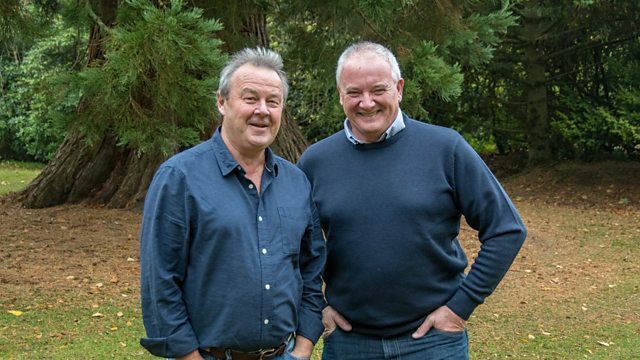 Join Mark Stephen and Euan McIlwraith for the latest outdoor activities from Shetland to the Borders, plus the key stories for those who live and work in the countryside. Euan takes another look at the Scottish Land Commission. He asks the chief executive Hamish Trench what have they have achieved since their formation and what still needs to be done. Mark speaks to David Hamilton, the dairy farmer of the year 2017 about his experience of the industry and the future of dairy. More and more of us are taking up nature photography as a hobby, but how aware are budding photographers of the laws protecting our wildlife? Karen Miller speaks to nature photographer Laurie Campbell about what to be aware of. A coalition of nine leading Scottish environmental organisations is calling for stronger laws to protect the country’s most iconic landscapes from damaging vehicle tracks. Mark finds out more about the damage these tracks cause. Do your family know whether you want to be buried or cremated when you die? Mark visits a natural burial ground near Dundee and finds out that you can be buried in an environmentally friendly way. Euan hears from a Mountain Rescue team about the dangers of not being properly equipped in the hills. Mark takes a wander round Greenock Cut and bumps into the longest serving countryside ranger in Scotland. Tilly Smith manages the Scottish reindeer herd in the Cairngorms. Euan goes along to meet her and find out about her animals. Mark takes a look around the Bo’ness Heritage Railway and hears more about their collection of engines and carriages. Fiona Presly found an ailing bee in her garden and ended up keeping it as a pet. Euan hears her story. As the clocks go back this weekend Mark turns his hand at poetry. Are you breaking the law when you take photographs of wildlife?